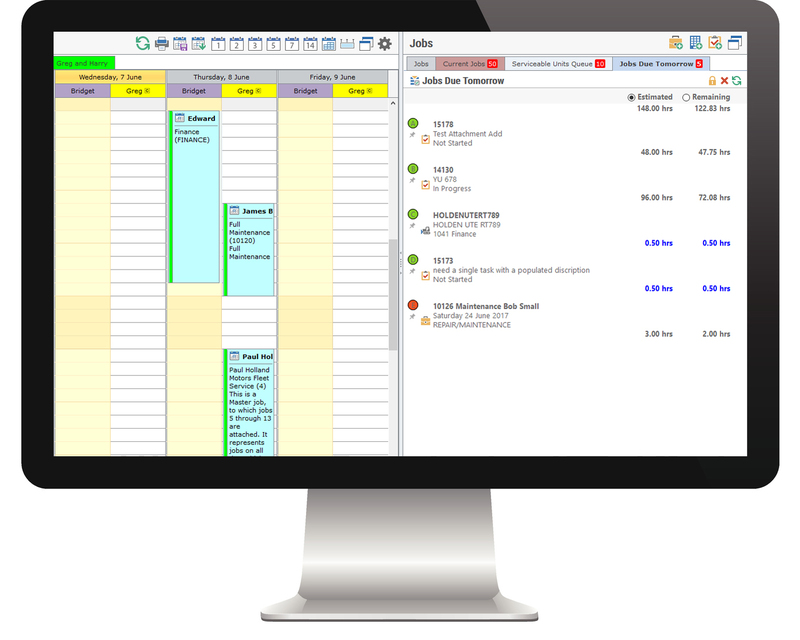 TimeTrak Queues are a flexible scheduling tool that allow you to better manage your events that need scheduled. Queues allow your Coordinators to essentially put a customer, job, task or serviceable unit into a temporary list (queue), so that they are able to easily allocate these to an available team member based on their calendar or geographical location. Queues provide more than one function depending on your business environment or industry, and can be diminishing in nature or enduring. Diminishing queues: once a queue item has been scheduled, it drops out of the queue automatically. Enduring queues: items stay in the queue until someone removes it or it gets moved to another queue. Using the Job Filter Grid, you can filter jobs by type, branches, dates, etc. then push the filtered list into queues that you have created. For example, if you are wanting to schedule all jobs that have a due date of this week, you would go to the Job Filter Grid, set the filtering parameters, and generate a list of relevant jobs. You can then easily add all of these jobs into a queue called "Jobs Due This Week". As these jobs get scheduled, only the unscheduled jobs remain in the queue. 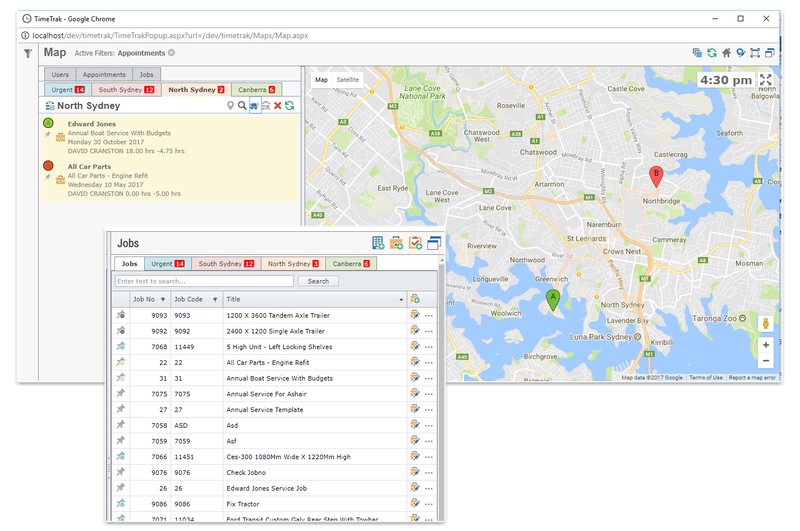 Using the maps feature, you are able to refine objects within a map area and then place into a queue for scheduling. Once in a queue, these objects can be route-optimised, if required, to minimise the technicians travel time between activities. 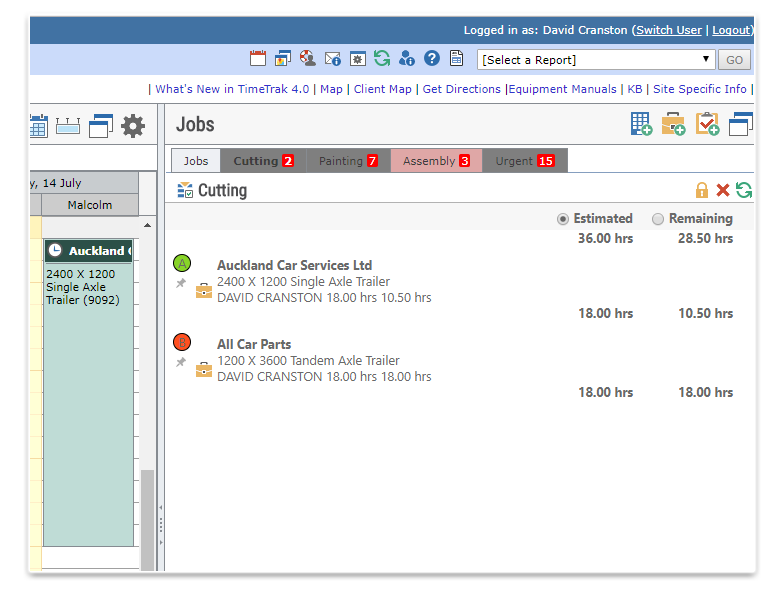 When using Queues for manufacturing, you are able to create specific queues to a manufacturing or workcentre process, then place items in those queues and have each item move to the next queue as they progress through the manufacturing process or workcentre. This allows Coordinators to easily and visually plan production, see bottle necks and keep on top of production completion. The duration of events that are scheduled from a queue can be defined at the queue level or based on the estimated time, or the time that has not yet been scheduled. Whatever methodology you choose to use can be set against the queue when it is created.